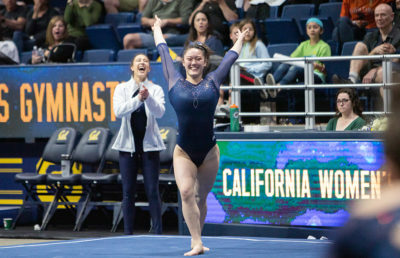 By surpassing a score of 196.8 in its last regular-season meet, the Cal women’s gymnastics team has landed a spot in the second session of the Pac-12 Championships, reserved for the top four teams in the conference. The Bears are seated in the fourth position and will take on Utah, Oregon State and last year’s NCAA champions UCLA, three teams they have come up shy against this season. 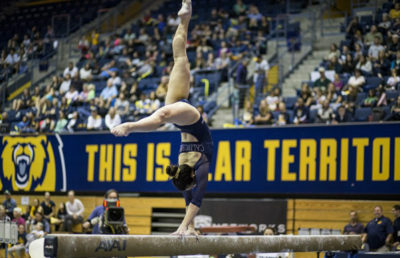 For the first time ever, the competition will take place on a podium, something the Pac-12 schools have been requesting for years in order to level the playing field with teams in the Big Ten and SEC, whose experience with the Olympic-grade setting before the NCAA championships has given them a slight advantage over their competitors. And an exciting show, it will be. UCLA has continued to dazzle judges and gymnastics fans alike to the point where perfection is no longer a surprise — it’s the team’s standard. Based on their dominance on the floor this season, the Bruins should be adding another Pac-12 trophy to their collection, but if the Bears can maintain the level they competed at last week, they could be right in there with the Beavers and Utes. It has been the Bears’ plan to continue to add difficulty to their routines, keep getting better and peak at the end of the season. As of week 11, the successes of this strategy are evident in individual honors and records for gymnasts and the team as a whole. On the men’s side, No. 11 Cal will face off against the University of Illinois at Chicago, or UIC, as well as No. 1 Oklahoma, the most dominant men’s gymnastics team in the country in recent years; Oklahoma has held the top spot for this entire season and has won the past four championships. 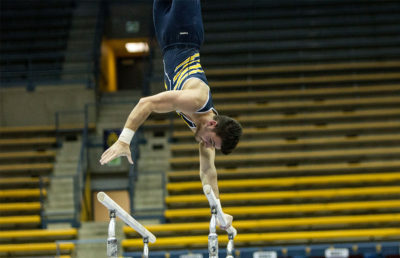 The last time the Bears went up against the Sooners was at last year’s NCAA championships, where current Cal junior Kyte Crigger held his own against the best in the sport and snatched a fifth-place finish on floor. Crigger, along with the rest of the team, will work to complete solid routines to dip their toes in the tough competition pool before the postseason begins. Cal is coming off of its best meet of the season in terms of team score and individual performances. The men’s team should be able to pull off a second-place finish ahead of the UIC Flames, who, thus far, have averaged 359.033, in comparison to the Bears’ average of 398.236. 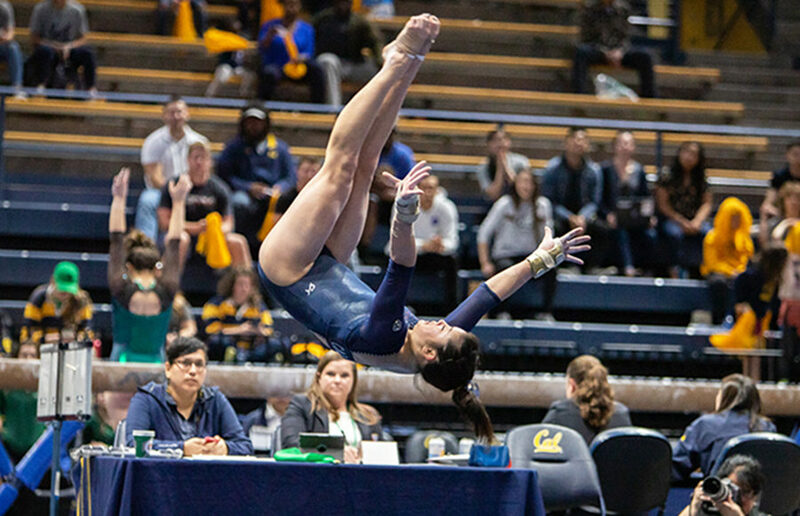 Including this weekend’s meet, Cal has two more opportunities to compete before things come down to the wire in the postseason, as the team fights to earn a spot at this year’s NCAA championships. Sloane Pace covers gymnastics. Contact her at [email protected].